A drone flew over the Cornell campus this month. By using infrared cameras, it spots steam leaks that are not otherwise visible, giving the Cornell utilities staff time to repair or replace them in a more timely fashion. The photo shows two problem spots by the Vet Med Center and the East Campus Research Facility from an earlier flyover this year. 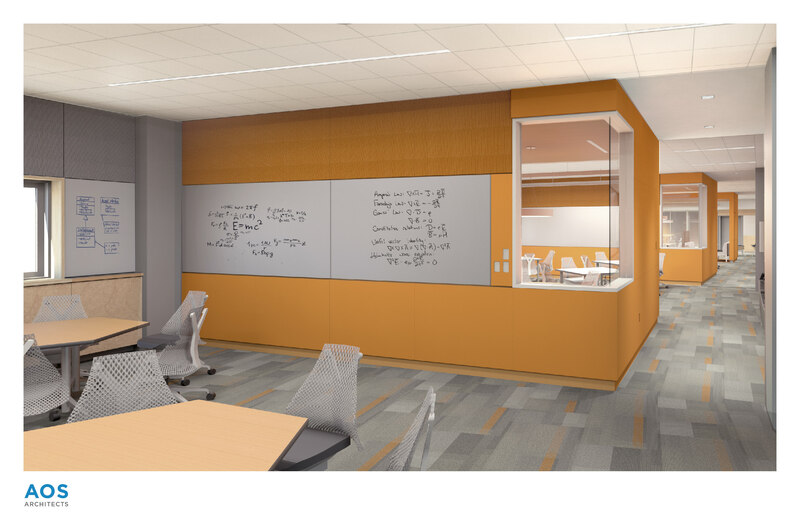 Create meeting spaces, research (maker) labs and new home for CIS undergraduate programs relocated from Gates Hall. At first glance, this parking lot may look like any other, but there are hidden processes beneath the surface. Porous asphalt and the bioswale in the center of the parking lot allow stormwater to drain into the soil beneath the pavement. 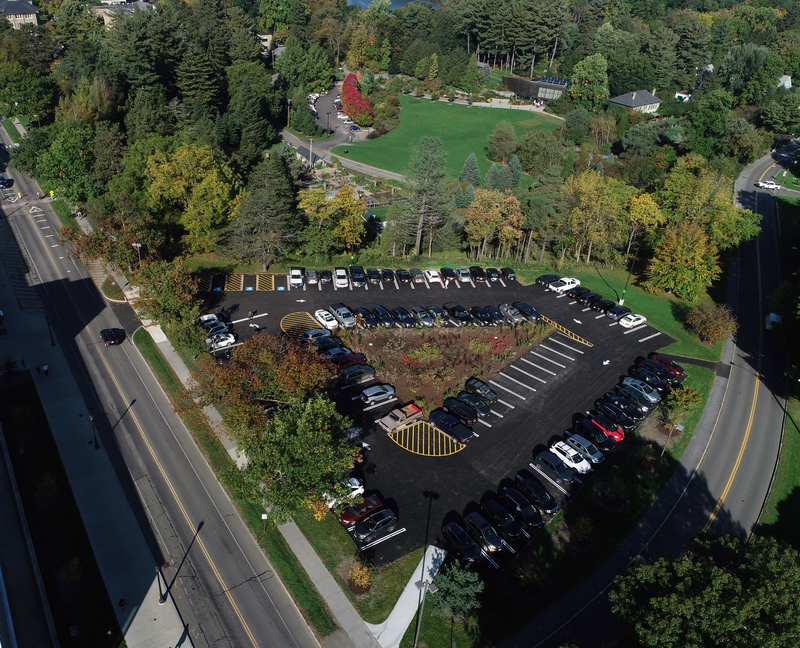 The Peterson Parking Lot was designed to slow and store stormwater, while filtering pollutants, watering the bioswale, and recharging groundwater. Quick Overview of Community Practice Service Building Project. Completed Back In June 2018 This was a $7.7M Project The purpose of this project was to construct a stand-alone Community Practice Service and Shelter Medicine facility. The Community Practice Service will offer primary care to dogs and cats in the Ithaca area. This service is run by fourth year students and overseen by faculty veterinarians.